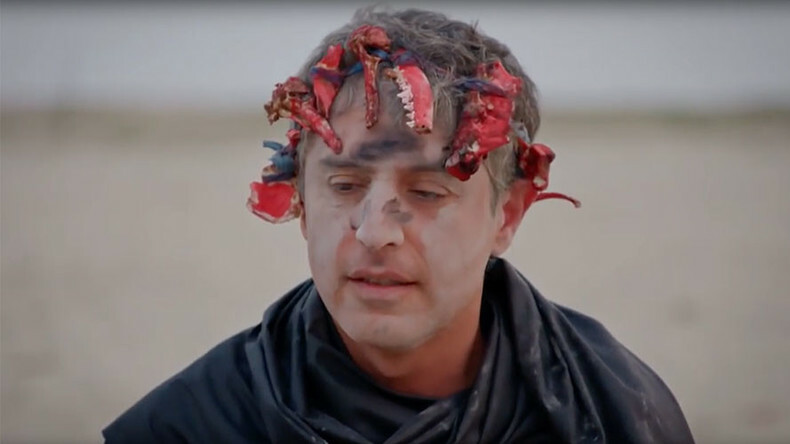 A CNN show which featured host Reza Aslan eating part of a human brain has been described as “disgusting,” while many allege it misrepresents Hinduism. Aslan claims many of the accusations are unfounded, however. Aslan ate the piece of cooked brain while filming an episode of his show, ‘Believer with Reza Aslan’, on an ascetic Hindu sect called the Aghori. The episode sparked outrage from American Hindus, and some disgust from the wider viewing public, when it aired on Sunday. He also drank alcohol from a human skull and spread ashes from a cremated person on his face during the show, which also depicted a man eating his own feces. Many Hindus slammed CNN for highlighting the practices of the sect, saying that it does not represent mainstream Hinduism and there is only a very small number of Aghori. CNN and Aslan have been accused of mischaracterizing Hinduism at a time when the Indian-American community is still reeling from recent attacks on two Hindus and a Sikh man in apparent hate crimes. “With multiple reports of hate-fuelled attacks against people of Indian origin from across the US, the show characterizes Hinduism as cannibalistic, which is a bizarre way of looking at the third largest religion in the world,” US India Political Action Committee (USINPAC) said in a statement to the Hindustan Times. Congresswoman Tulsi Gabbard, the first Hindu in the House of Representatives, blasted CNN for promoting a “sensationalist” slant on Hinduism. “I am very disturbed that CNN is using its power and influence to increase people’s misunderstanding and fear of Hinduism,” the Democrat from Hawaii said in a series of tweets. “Aslan apparently sought to find sensationalist and absurd ways to portray Hinduism." 2/ I am very disturbed that CNN is using its power and influence to increase people’s misunderstanding and fear of Hinduism. “Aslan and CNN didn’t just throw a harsh light on a sect of wandering ascetics to create shocking visuals – as if touring a zoo – but repeated false stereotypes about caste, karma and reincarnation that Hindus have been combating tirelessly,” she added. Indian-American industrialist, and noted supporter of US President Donald Trump, Shalabh Kumar, described the show as “a disgusting attack on Hinduism”. Shalabh alleged that the program was a response to so many Hindu Americans supporting Donald Trump during the election campaign. Aslan has responded to the criticism in a Facebook post, saying that he stated throughout the episode that the Aghori aren’t representative of Hinduism. He said that he provided numerous articles and videos on CNN.com to address the beliefs of Hinduism and debunk its myths. “In almost every interview I did about the show I talked at length about the issue underlying the episode, including the fluidity of the caste system, the problems inherent amongst the untouchable class, and how devout Hindus of all stripes are working tirelessly to overcome both,” Aslan explained.